Visit Our Custom Roll Out Shelves Booth! 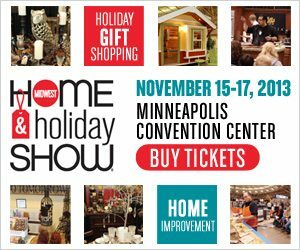 Join us at the Midwest Home and Holiday Show at the Minneapolis Convention Center November 15-17. We will be exhibiting our custom roll out shelves. 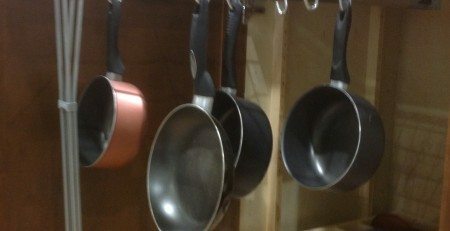 Tired of trying to get that pot out of the back of the cabinet? Go to the store for something only to find it at the back of the cabinet when you get home? We build custom roll out shelves for your existing cabinets to maximize your storage and make it more accessible. Each shelf is measured to your space, providing the maximum shelf size. We use solid maple dovetail drawer box construction along with full extension drawer slides. Our shelves are capable of holding 100 pounds and are height adjustable. Not only is the width custom to your needs, but the drawers are built to whatever height or depth works in your space. We also include installation of the product and a lifetime warranty. We can also custom make inserts into the drawer boxes for spices, can managers, tray storage, the options are limitless! The best part? 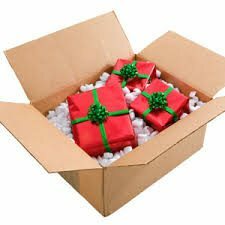 We offer standard pricing on all drawer boxes. They are $160 per drawer! That includes measuring and installation. Why wait to transform your kitchen, bathroom, linen, or laundry rooms? Contact us today. If you visit us at the show and sign up for a consultation, you will receive a show special of $145 per roll out! Why use JOE for your Roll Out Shelves? Custom built to fit your existing cabinet spaces. Easy access to deep cabinet spaces. Convert wasted space into useful storage. No more bending and searching. High-quality hardware, construction and installation. 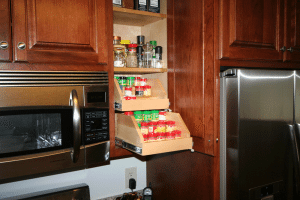 We manufacture and install roll out shelves and custom cabinets for your kitchen, bath, office or garage. Eliminate bending and searching and maximize your cabinet storage with our custom built, high quality roll out cabinets and shelves. 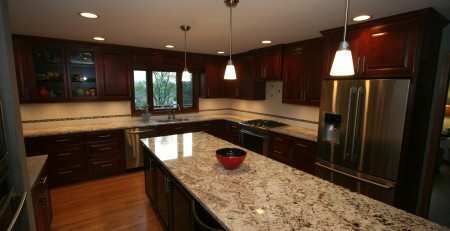 Roll out shelves and cabinets make quick work of kitchen prep call today for your in home consultation! Joseph Otto Enterprises Is Hiring A Custom Cabinet Maker! Joseph Otto Enterprises Awarded Best of Houzz 2019! Home Show Season Is Here! Home Show Season! Lots of rollout shelves to showcase! Dory Otto on Your Opinion Matters! Randy Lucas on Your Opinion Matters! © Joes Custom Cabinetry Copyright 2017. All Rights Reserved.